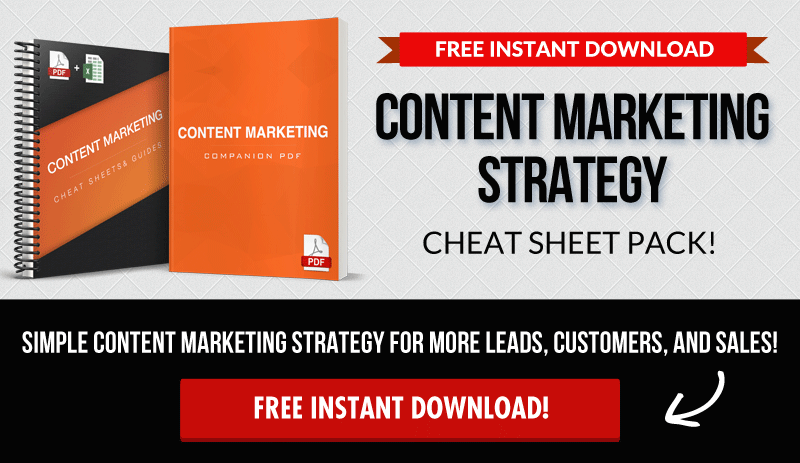 So you’ve been creating great content, generating leads, and building your list. In today’s post, we’re going to share with you 6 different (and simple) types of content you can send to your list on a consistent basis to build trust, create engagement, and keep them taking action on those emails. 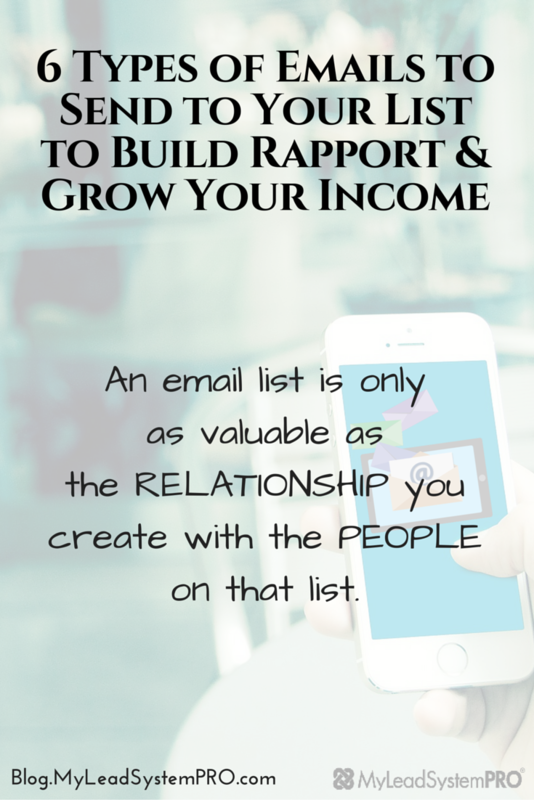 Remember, an email list is only as valuable as the RELATIONSHIP you create with the PEOPLE on that list. Until you connect with your subscribers, they will simply remain names and email addresses on your screen. Without the relationship or consistent connection, many people will simply move on elsewhere to find what they need. So let’s get into the 8 different types of emails you can send…even if you are brand new and think you have nothing to say or share. When someone makes the decision to sign up for your newsletter, it is the start of a new relationship. This email is your first chance to make a great first impression and set the expectations for what you will be sharing. Be conversational and have fun with it. Keep in mind the types of things you, yourself, like to see or read when you opt in to someone’s newsletter. This will help you better understand the mindset of the person on your list. Everybody loves FREE stuff. In fact, it’s highly likely that most of the people on your list originally signed up through some sort of free offer. Giving away offers is a great way to build authority with your subscribers as it helps them better see the value and knowledge you have to share on that particular topic. In the beginning stages especially, sharing targeted and useful free offers with your list will help establish the trust needed for a person to make a buying decision down the road. Don’t yet have your own offers? That’s OK! Start by leveraging the system campaigns and free training included with your MLSP membership. Watch some campaigns, create some teasers or content around the campaigns, and then give away that value to your subscribers. Just by simply pointing and directing people to training and resources that you know will benefit them creates an incredible amount of trust and rapport for your relationship. 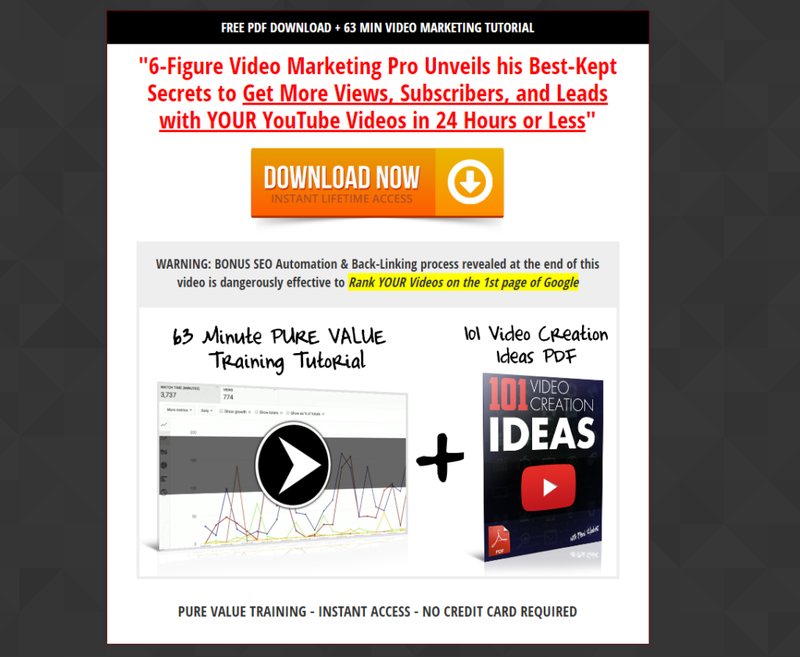 This type of email includes content such as blog posts, videos, and training that you create or that you have permission to share. This type of email has two big benefits. The first is that it provides the people on your list with incredible value to help them in their life or business. 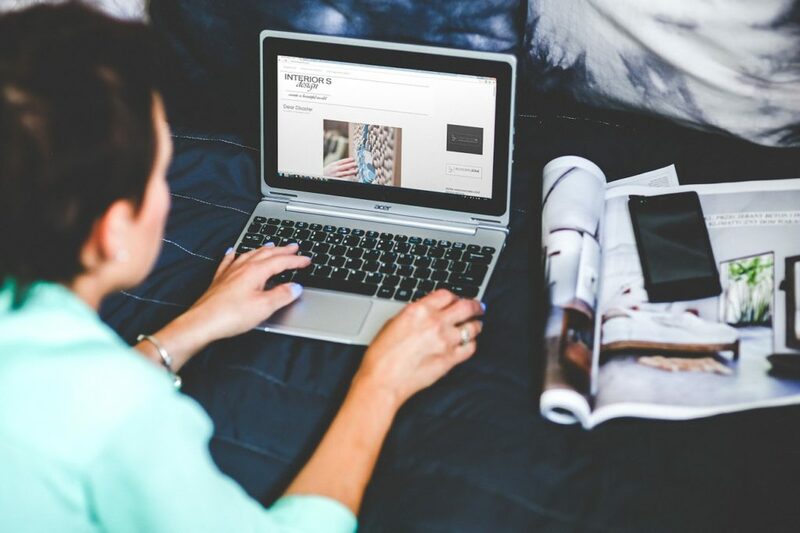 The second benefit is that it helps bring traffic to your new blog posts. In fact, one of the fastest ways that we get instant eyeballs on our content is by sending it out to our list first. One of the cool perks of being an MLSP member is that you can leverage their content but get personal credit for leads and sales. Each time you share an MLSP blog post with your unique link, every single link on the blog is converted to your username. Between the content already on the MLSP blog right now and the multiple new posts that are shared each week, there is plenty of value for you to share with your list even on days when you don’t have your own content to share. As much as your own success story can inspire the people on your list, sharing the stories of other people who are getting results can help as well since more stories will be able to relate to more people. If you promote a particular product or service (which we’re assuming you do since you’re building a list), testimonials are an awesome way to connect, inspire, and move people into action. This type of email is really effective during a product launch as many results are shared in real time and the excitement is at an all time high. People love to know how a particular product will help them and what better than to see real time results. Are you an MLSP member? 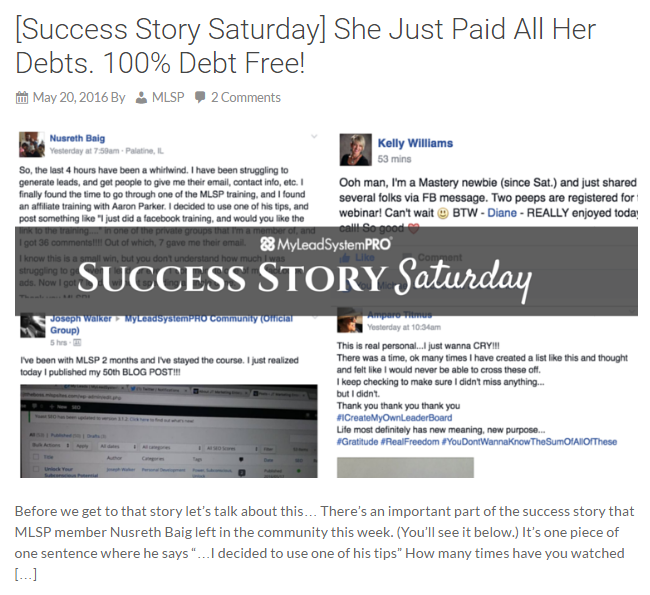 Head over to this blog every Saturday for “Success Story Saturday” and hear about some of the best WINS for the week. Emotion is a very powerful motivator in the buying process so be sure to include success stories and show people what is possible if they take action. Read through the stories and share the ones you think would most benefit your list. Or you could even share your custom link for the actual blog post. Not in MLSP? Well, you should be. But even if you’re not (yet), you can still use such posts as inspiration for gathering success stories and testimonials from people who have used your product or service. While it is awesome to send your subscribers to the content you publish on your blog, you also want to find ways to give them a little something extra and exclusive that only people on your list can access. You want your subscribers to feel like friends and friends go out of their way to do nice things for each other. Exclusivity makes a person feel special and part of something. And it doesn’t take that much more effort on your part to create that feeling for them. By making them feel more appreciated and valued, in return, you get audience loyalty and reciprocity. People will be more inclined to want to help you because you helped them. Simple, right? Looking for a simple way to get immediate engagement from people on your list? Send an email specifically asking how you can help them. Seriously one of the best ways to deliver what your list wants is to actually just ASK THEM. There are different types of emails you can send for this one, but here are two we suggest. The first is a simple and short email asking how you can help them. In this email, be sure to include NO LINK. 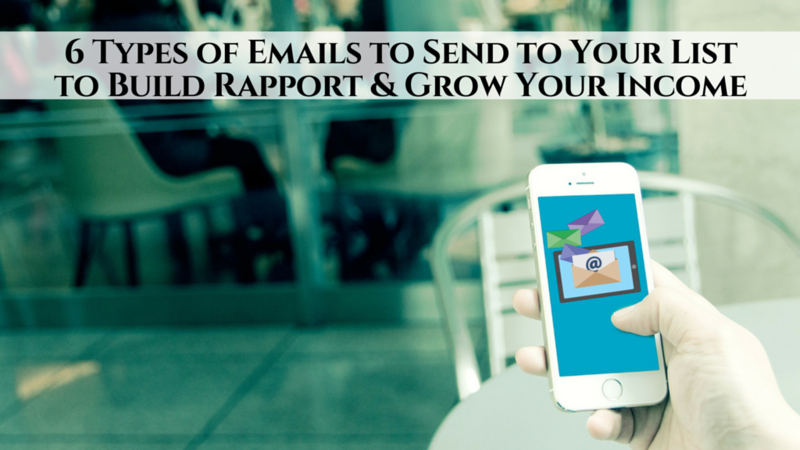 Instead encourage them to reply back directly to the email with an answer. This opens up dialogue and gives you the opportunity to personally engage with the people on your list one on one – which is super useful when you are brand new. 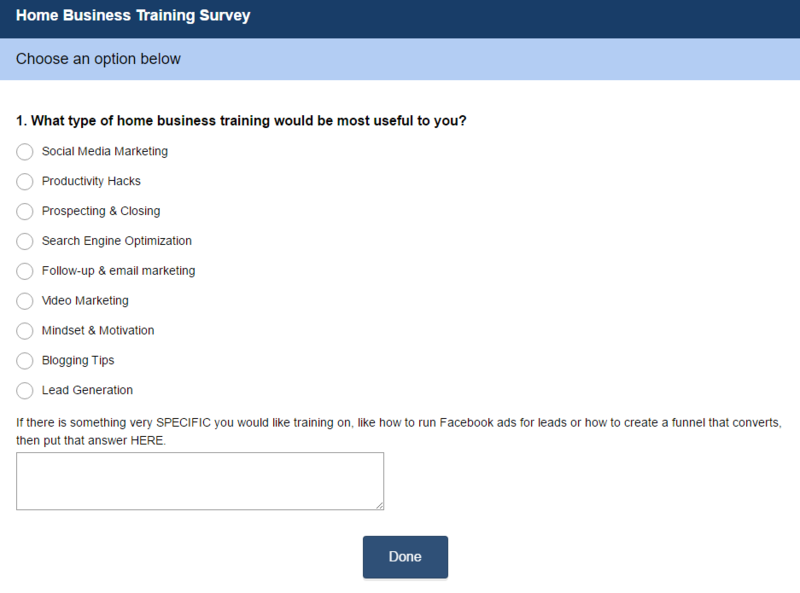 Another type of helpful email you can send is a survey with different topics for them to choose from. Encourage your subscribers to choose the topic that would be most beneficial to helping them move their business forward. From those responses, not only will you have incredible content to create, but it will be the exact type of content your list is actually craving. Win-win! Don’t just build a list to collect names. Build a list to build relationships and provide value to the marketplace. A bunch of names in your autoresponder won’t grow your business or put money in the bank (we know because we have been there), but COMMUNICATING with the actual humans on your list can. Always remember that each lead is a real person who genuinely wants to learn more. Treat them as that and provide them with the solutions they are seeking. Be yourself and have fun with the process! If you have a newsletter, what types of content do you send to YOUR list? We’d love to hear what’s working for you! So many people FREEZE when it comes sending their leads emails. However, when you absolutely know that you're providing value to your list, you can send your prospects emails with complete confidence. After Dustin and Tracy get done with you today over at the MLSP Leader Blog, you'll have no problem doing this every single day!